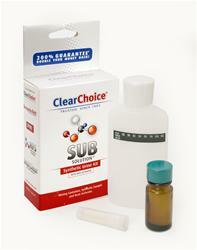 Clear Choice Sub Solution Review - Still The Favorite Fake Piss In 2018? Clear Choice Sub Solution Review 2018 – Is This Synthetic Urine Still The Favorite? If you’ve been reading any of my other articles on synthetic urine, you may already be aware that Sub Solution (SS) is my go-to synthetic urine and the #1 pick in my synthetic urine user and comparison guide. Hence, it’s about time I dedicated a post to properly reviewing it.. So, in this Sub Solution review I’ll attempt to cover all grounds, from the basics to the very reason I consider it a superior product to others. And btw, if you have an urgent urine test you need to pass you can get Sub solution from the official website Testnegative.com here. 2 Why Sub Solution Over Other Brands Of Fake Urine? Sub-Solution – A winner among fakes. Well, obviously it’s a synthetic urine, duh.. But for those of you where that’s as far as your knowledge on this product extends, let’s dive a little deeper than that! 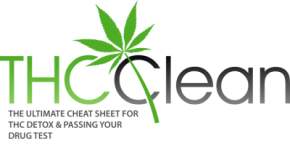 Clear Choice is one of the very first players in the field of drug detox, having been around ever since 1993. So when it comes to product quality and customer satisfaction they’ve certainly beat the test of time (or they wouldn’t still exist). The Sub Solution product itself was launched in 2002 and has thus been helping fellow stoners beat tests for over 15 years now. It’s a fake urine product made up from 11 important chemicals to mimic real urine, including everything a urine drug test lab would test for (urea, for one, is definitely among these). It’s also balanced for important markers such as creatinine and pH. Why Sub Solution Over Other Brands Of Fake Urine? There are several factors that are relevant when choosing what synthetic urine to go with, including price, availability, ease of access (where you can buy it) and so on. But the biggest one of them all would be how well it works. In this sense, more specifically that means how reliably it can produce the results you’re looking for, i.e. help you pass your drug test. In the end, that’s all that really matters here, and it is also the reason Sub Solution has stayed my favorite fake pee for such a long time; it always delivers. Many synthetic urines fall flat simply due to an inadequate formula. They don’t even make it past the threshold to be considered for passing a urine test. In fact, I only know of a few brands (with certainty) that do and have had one over a longer time span, Sub Solution being one of them. And that, having been consistent over a longer time frame, is pretty important. It’s a testament to the company producing it staying up to date with changes in the drug industry so you don’t risk automatically failing with a fake urine as soon as the testing practices change slightly. I could dive deeper and say that it has urea, uric acid, the right pH, and this and that, but it gets a bit redundant. Fact is, if it didn’t have all that stuff a quality fake pee needs it wouldn’t be passing people’s UAs and it certainly wouldn’t be my go-to urine. But I did mention there are others that also have good enough recipes to be reliable in that sense. And SS isn’t the cheapest of the bunch by any means, so what makes it stand out? With pretty much all other synthetic urine brands you’re stuck with the old heating pad and hand warmer procedure to keep your fake pee warm, which has its inherent flaws. Mainly that it takes quite some time to heat it up. This can be worked around, but.. If the temperature isn’t within the right range when you’re in that bathroom or booth with a cup in your hand, you’re simply screwed. Sub-solution on the other hand comes with an instant heating powder included, which means you can easily raise the temperature on the spot, in a matter of seconds. Thus, many would-be temperature test failures can be avoided this way. After all, failing due to the temperature being out of range is one of the most common reasons people who substitute urine don’t pass their test (another one being that they chose a low quality artificial urine brand and formula). So this handy solution to temperature errors I would say is what makes SS stand out so clearly from the rest of the brands, and hands-down worth the slightly steeper price. You get what you pay for and in this case that’s insurance. Insurance that you have the best chances of passing your test with substitution you possibly could. Keeping your job (or getting one) will always be worth the small extra investment. This is yet another nice advantage that SS has over most competing brands, such as QF. Because when you turn in your sample to the testing staff, aside from checking temperature they’re also very good at immediately noticing anything else that isn’t physically right or normal with it. After all, they look at fresh urine samples all day long, so you’d expect nothing less. Sub Solution behaves like urine should, meaning it looks and foams like real human urine, and even smells like it. This is a big plus, because even if they can’t turn down your test due to a lack of smell or a slightly unnatural appearance, you can bet on that if they notice it, they’ll take note of that, which in turn can lead to extra tests being done to confirm it’s legit and hasn’t been tampered with. Not being pre-mixed gives SS certain advantages over common fake urine brands. Most fake urine brands on the market (especially lower quality ones) tend to be pre-mixed. Although it may seem convenient to have your fake pee be liquid and mixed from the get-go already (stoners are stereotypically known for being lazy, after all), there are actually disadvantages to this that out-weigh the convenience. Because when it’s mixed already, there is a risk the ingredients over time can separate, leaving you with a sample easy to spot isn’t genuine piss. But with a powdered urine kit rather, such as SS, you can mix it on the same day of your test (up to 8 hours in advance is alright), and never risk running in to a problem like that one. Being powdered form also means it innately gets a longer shelf life than most pre-mixed products, which makes it possible to stock up on and take advantage of the buy 3 get 4 offer they have running on the official website (that’s what I always do personally, and 33% extra value is nothing to scoff at). Now the money back guarantee is not necessarily unique to SS, but from my understanding they (Clear Choice) were the first with it while many other brands just felt they had to copy it to be able to compete. But 200% means if people were failing their tests, Clear choice would be losing a lot of money and not be able to continue selling this product. Although you are unlikely to ever have any practical use of this guarantee (you’d have to fail a test), the point of it is as a quality insurance rather than a means to make a buck, since whatever you get out of passing your test should be worth more than a few quick dollars. When purchasing Sub solution it will have clear and easy to follow instructions included in the package already, but I thought I’d include some pointers for any curious readers. You’ll get a vial of the sample, a vial of the heat activator and a mixing container with your package. Up to 8 hours in advance of your test you can mix the urine powder with tap water in the mixing container. The mixing container also has a thermometer strip on the side to make it easy for you to see when your sample is in the right temperature range. Then when your test is near, you can put some of the heat activator in your sample to get the desired temperature, and go on with passing your test. You bring the vial of heating powder with you to be able to adjust the temperature as needed, since you won’t need to use all of it. If you manage to get the sample too hot, a good tip to cool it down is to put the vial against a cold surface. Keep in mind that there’s nothing stopping you from going with the classic method of heating pads to keep your piss sample warm up until the test, and using the powder just as a good safety precaution. In that case just order a couple of heating pads on the side. Also, if you don’t have one already, you can get a stash belt along with your fake urine to solve any problems of hiding the sample for your test. Sub Solution is my top choice among synthetic urine brands for good reason, and I hope I’ve made that clear in this review. If you want to pass a urine drug test using synthetic urine, I’d highly recommend this particular brand. Make sure you get it from the official website though to avoid any risk of receiving expired or knockoff products.